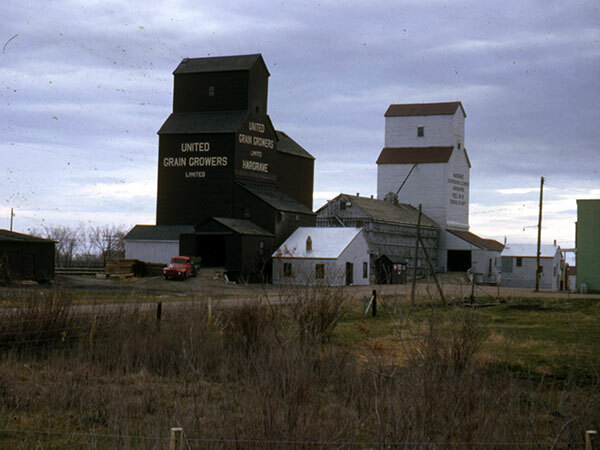 A 30,000-bushel wooden grain elevator in Hargrave, on the CPR Broadview Subdivision in what is now the Rural Municipality of Wallace-Woodworth, was built by United Grain Elevators in 1926. 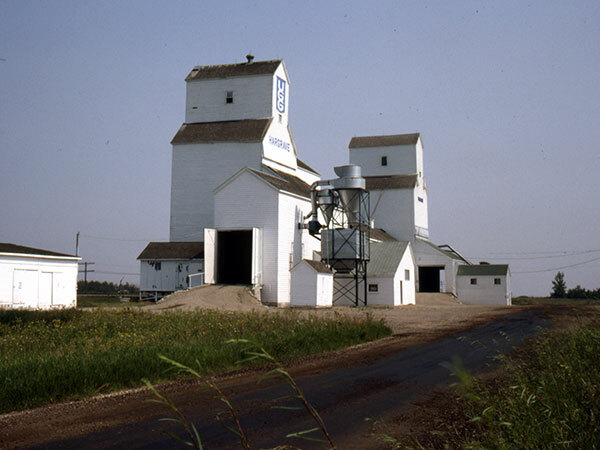 A crib annex built beside it in 1953 increased its storage capacity to 60,000 bushels. The facility was later closed and removed from the site. 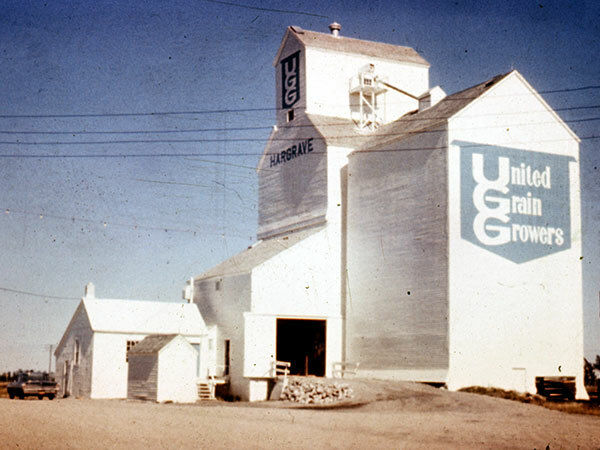 United Grain Growers Fonds, University of Manitoba Archives & Special Collections. Grain Elevators in Canada, compiled by Board of Grain Commissioners for Canada, Winnipeg, 1912-1930, 1930-1953, 1953-1998 [Peel’s Prairie Provinces, University of Alberta Libraries], 1998-2016 [Canadian Grain Commission]. Binding Our Districts: Hargrave and District, 1989, page 164. This page was prepared by Gordon Goldsborough and Glenn Dickson.